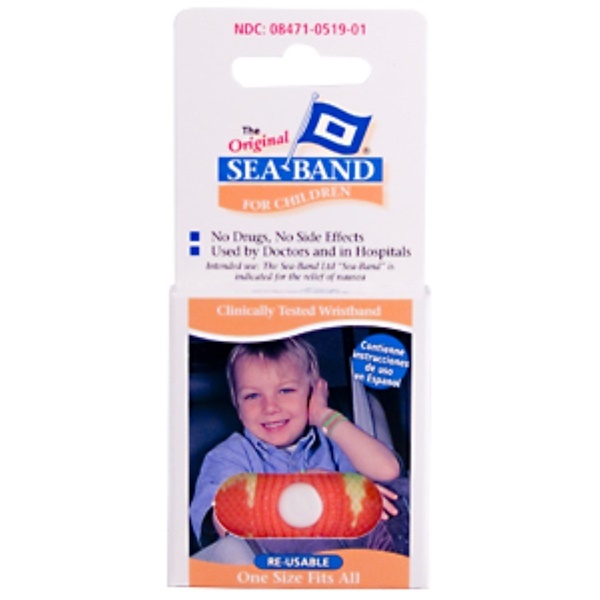 Sea-Band provides effective relief from all forms of Travel Sickness without causing drowsiness or other side effects. The Sea-Band operates by using acupressure. The bands can be put onto a child's wrists before they start traveling or after they have started their journey.